Last week I was not able to do the review – mainly because I was in hospital. This week I have a few books that I have just finished. In 1980 I attended the prayer meeting in my local church – Buccleuch Free Church in Edinburgh. I was a bit down about something – but that prayer meeting made me rethink so much. 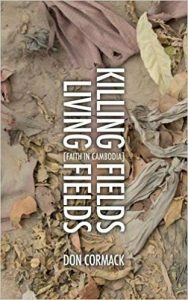 A young Cambodian was speaking – of the slaughter in his own country and how he became a Christian. The joy in his face – in the midst of such unspeakable suffering made a big impression. I was reminded of this when I read Don Cormack’s book is subtitled “An Unfinished portrait of the Cambodian Church”. 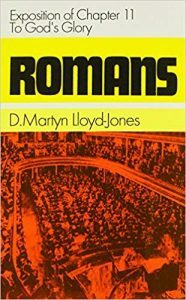 It is the best modern missionary book I have ever read – its honesty, understanding, history and compassion are outstanding! It is incredibly moving and a real inspiration – but not in the fake hagiographic way so beloved of many such books. The weaknesses of the church, the failures as well as the glorious victories are all chronicled in meticulous detail. 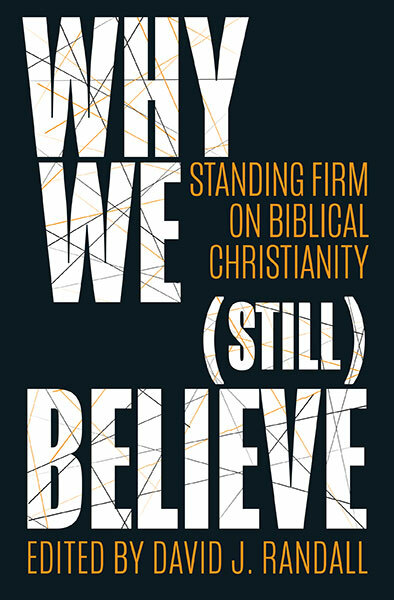 It is a long time since I have read such a faith affirming book. Peter Lewis describes it as The Wild Swans of Cambodia – ‘a modern Christian classic”. Highly recommended. 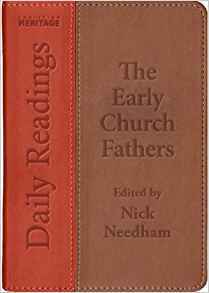 Nick Needham has created a book of daily readings which is a real blessing to the church. I have used it for the past year each day. January is readings from Chrysostom, Feb Irenaeus and so on throughout the year. These are all absolute gems. They give an insight into Scripture, God and the Christian faith – that is both historical and biblical. There are so many profound and quotable quotes. Every Christian can learn from the early Church Fathers. This is also a beautifully produced leather book. Coffee House Shots is the only podcast I listen to daily – it is around ten minutes and yet gives me more analysis and news of British politics than an hour of watching the news. It is as the label says “Instant political analysis from the Spectator’s top team of writers, including Fraser Nelson, James Forsyth, Isabel Hardman, Katy Balls, Alex Massie and many others.” All of them are knowledgeable and good communicators of complex subjects. James Forsyth seems to have a hotline to the UK government cabinet that no one else does. If you are interested in keeping up with UK politics – this is a must. This is a classic 1974 disaster movie starring Paul Newman and Steve McQueen. It was nominated for eight Oscars and won three. There were many other stars including a good performance from Fred Astaire (without the dancing), Robert Chamberlain, Faye Dunaway. Robert Vaughan, O J Simpson. The music was by John Williams. I watched this recently whilst recuperating. Highly enjoyable. They knew how to make entertaining, thought-provoking and classic films in those days! 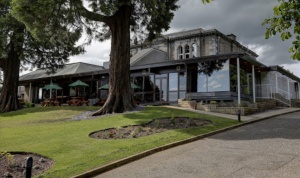 I have been to this Perth Road Hotel in Dundee many times – sometimes for weddings, occasionally for funerals or business meetings. Great location with superb views. The food is good but not special. The staff are friendly and know what they are doing. `I have never stayed here so can’t comment on that. This is Springsteens 2nd acoustic album, released in 1995. It’s by no means his most popular but its my favourite along with Born in the USA. Its more contemporary folk than rock. I loved the fact that it’s a concept album that comes out of a character in one of my favourite books – The Grapes of Wrath by John Steinbeck. 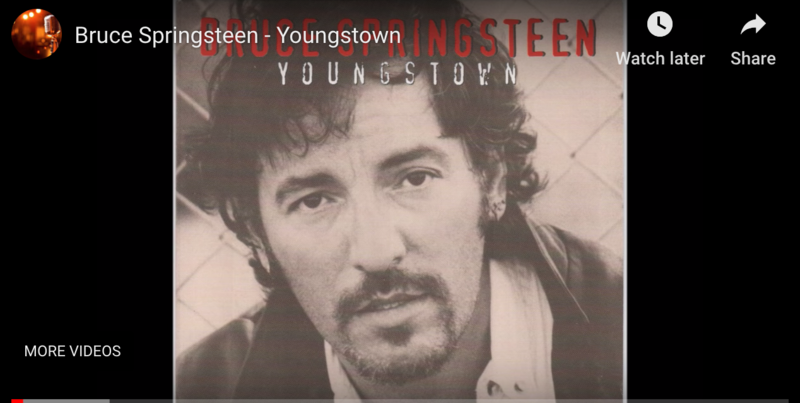 My own favourite track is Youngstown. I remember being in a car with Alaister Begg and getting really excited as we passed a road sign for Youngstown! The Ghost of Tom Joad – Bruce Springsteen…Really, that long ago? I must be getting old. Oh no, thank goodness…it was 1995! 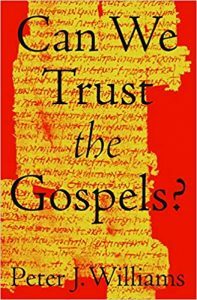 Which one the three books you mentioned on the historicity of the biblical text would you recommend to someone who has no books on the subject? Williams, Bruce or Orr-Ewing? Recently visited the Glasgow Film Theatre and saw Humphrey Bogart in “The Treasure of the Sierra Madre” …. great themes on how hard we need to strive for goodness compared to how easily we slip into badness… Thoroughly enjoyed this film, catch it if you can. BTW.. the GFT are showing “It Happened One Night” later this month, a 1950’s movie about the Titaniv going down and stiff upper lips and all that….. Canny wait! Oops.. the GFT is showing…. “A Night to Remember” about the sinking of the Titanic. Made in 1958 starring Kenneth More, David McCallum, John Cairney, Andrew Keir and Honor Blackman… yes, Honor Blackman. Enjoy. Previous Previous post: Quantum 35 – Israel and the NZ Mosque; Islamaphobia and Jordan Peterson; The Church in China; Chinese AI; The Mueller Inquiry and Jesse Smollett; The EU and the Internet; The Dutch and the Elderly; Transgender Beer; Scott Walker; Ricky Gervais; and more….